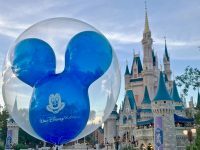 As a Contributing Writer/Photographer to MousePlanet, I wrote the Walt Disney World Resort Update for March 14-March 20, 2017. The article, including lots of photos and videos, is here (link will open a new window on the MousePlanet website). 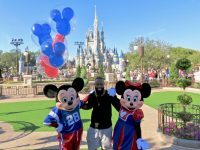 As a Contributing Writer/Photographer to MousePlanet, I wrote the Walt Disney World Resort Update for March 8-March 13, 2017. 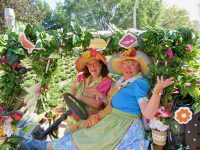 The article, including lots of photos, is here (link will open a new window on the MousePlanet website). As a Contributing Writer/Photographer to MousePlanet, I wrote Visiting the Enhanced Disney Wonder Cruise Ship. The article, including lots of photos and videos, is here (link will open a new window on the MousePlanet website). 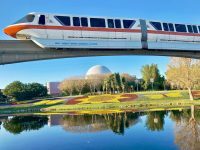 As a Contributing Writer/Photographer to MousePlanet, I wrote the Walt Disney World Resort Update for February 28-March 6, 2017. The article, including lots of photos and videos, is here (link will open a new window on the MousePlanet website). 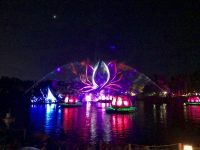 As a Contributing Writer/Photographer to MousePlanet, I wrote the Walt Disney World Resort Update for February 21-27, 2017. The article, including lots of photos and videos, is here (link will open a new window on the MousePlanet website). 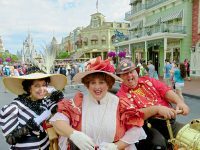 As a Contributing Writer/Photographer to MousePlanet, I wrote the Walt Disney World Resort Update for February 14-20, 2017. The article, including lots of photos and videos, is here (link will open a new window on the MousePlanet website). 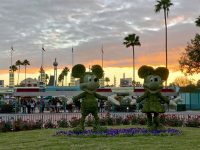 As a Contributing Writer/Photographer to MousePlanet, I wrote the Walt Disney World Resort Update for February 7-13, 2017. The article, including lots of photos and videos, is here (link will open a new window on the MousePlanet website). 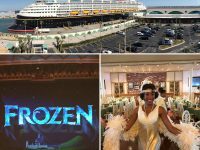 I was invited to visit Disney Cruise Line’s Disney Wonder to see Frozen: A Musical Spectacular, to have lunch in the new Tiana’s Place, and to take a tour of the ship. 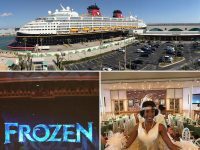 (Except for tolls and gas, Disney Cruise Line issued me and a guest Media credentials and covered all of the expenses of the visit.) The ship is as impressive as its twin, Disney Magic that I toured last year. The show is broadway-caliber with a good cast, with very impressive special effects and an on-stage costume change that got a round of applause. Tiana’s Place (the restaurant) is drawn from Disney’s The Princess and the Frog, down to the menu — with top-notch service and a live jazz band (introduced by Tiana, of course). Like last year’s tour of Disney Magic at Port Canaveral, in addition to the ship, I got a nice photo of NASA’s Vehicle Assembly Building at neighboring Kennedy Space Center. With the rest of the media, was escorted off the ship before its sailing that afternoon. Photos taken in January, 2017. A New Year! Photos from all around Walt Disney World: holiday decor for the first week or so, a walk around Disney’s All Star Sports Resort, the all-new Epcot International Festival of the Arts, a tribute to the passing of Carrie Fisher & Debbie Reynolds, Star Wars: A Galactic Spectacular is again Disney’s Hollywood Studios nightly fireworks show, lots of animals at Disney’s Animal Kingdom, the new look to the Characters in Flight Balloon at Disney Springs, Planet Hollywood Observatory opened at Disney Springs and more. 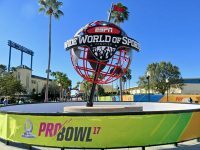 And, oh yeah, the NFL Pro Bowl came to Orlando for the first time and ESPN Wide World of Sports, Magic Kingdom and Disney Springs all hosted related events. 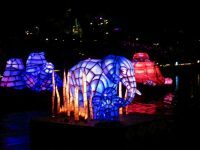 As a Contributing Writer/Photographer to MousePlanet, I wrote the Walt Disney World Resort Update for January 31-February 6, 2017. The article, including lots of photos and videos, is here (link will open a new window on the MousePlanet website). 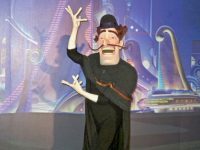 As a Contributing Writer/Photographer to MousePlanet, I wrote the Walt Disney World Resort Update for January 24-30, 2017. The article, including lots of photos and videos, is here (link will open a new window on the MousePlanet website). 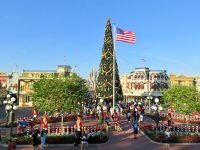 As a Contributing Writer/Photographer to MousePlanet, I wrote the Walt Disney World Resort Update for January 18-23, 2017. The article, including lots of photos and videos, is here (link will open a new window on the MousePlanet website). 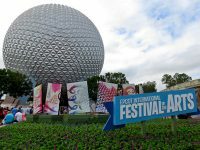 As a Contributing Writer/Photographer to MousePlanet, I wrote Visiting the First Ever Epcot International Festival of the Arts. The article, including lots of photos and videos, is here (link will open a new window on the MousePlanet website). 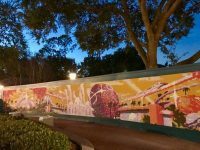 As a Contributing Writer/Photographer to MousePlanet, I wrote the Walt Disney World Resort Update for January 10-16, 2017. The article, including lots of photos and videos, is here (link will open a new window on the MousePlanet website).